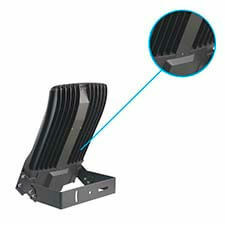 LEDMyPlace’s industrial, commercial and residential line of products includes 200W LED Flood Light available in bronze finish. 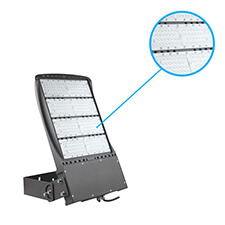 Using the latest solid-state lighting technology, this luminaire can be used both as outdoor and an indoor LED flood light depending on the lumen output (20000 lumens), the beam angle (150x85° degrees), the color temperature (5700K) and the CRI. 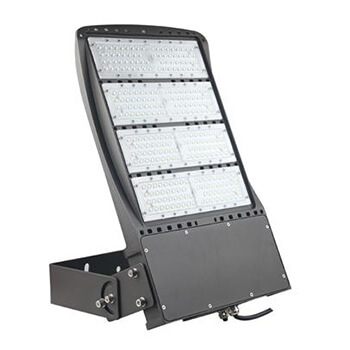 Our LED Floodlight is superior to spotlight, being broad-beamed and a high-intensity light. 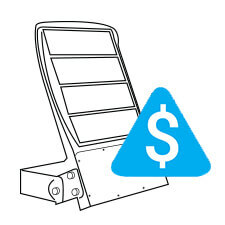 An LED flood light available for yoke or knuckle mounting is high on energy-efficiency and can last longer than metal-halides. 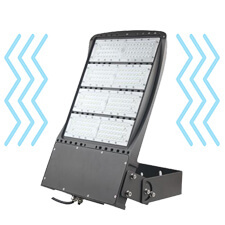 This fixture is UL, DLC, CE and RoHS approved product and can easily replace up to 600W of any metal-halide lighting fixture. 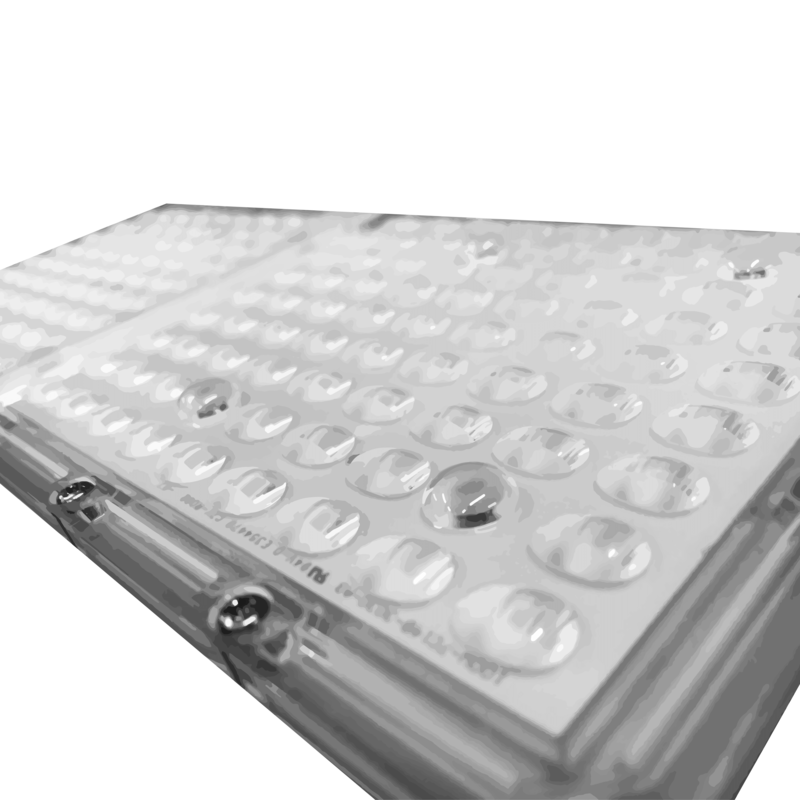 Lumen Output: This fixture can provide a lumen up to 20000 to eliminate any dark spots and to cover huge areas. 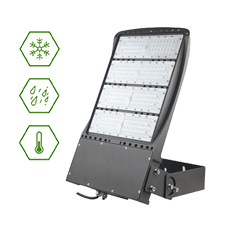 An Energy-saving lighting fixture: A 200W of LED flood light can replace a 600W of metal-halide and you save on 600 watts of energy consumed by the lighting fixture. 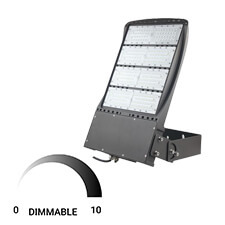 The 150W LED Flood Light brings you extra energy-savings by being dimmable. 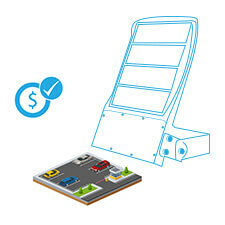 It can be dimmed from 0-10V, 0 being the ''maximum dimming'' level and 10 the "lowest level of dimming". 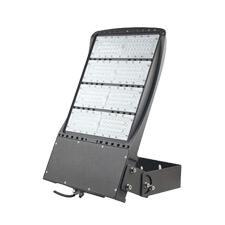 Our flood light is compatible with most standard dimmers available in the market. 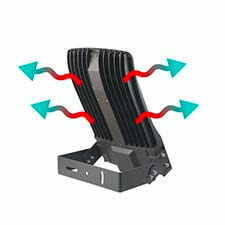 Vibration Test Pass: The vibration testing is done for conduct dynamic measurements on a luminaire. 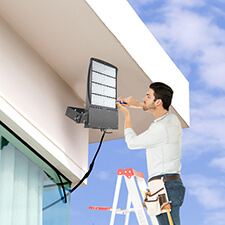 For this, the luminaire under the test is exposed to a certain vibration level and tested as specified by national and international standards.